You and your family rely on your plumbing system for many different things each day, so keeping it in great shape is one of your biggest priorities. At Franklin Plumbing & Drain Cleaning, we know how important your plumbing system is to you, and our experts provide a wide variety of services to help you keep that system functioning well at all times. Whether you need simple services like water heater maintenance or more intensive work like drain cleaning, you can always depend on our experts. 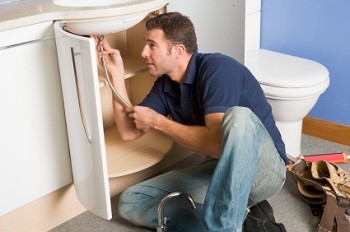 Our Cayce plumbers are all extensively experienced and professionally trained, so no matter how large or small the job, you can always depend on us for high quality work. We strive to provide services that keep every part of your plumbing in great shape, and we're available 24/7 for emergency repairs. Your home's water heater run constantly, and it very rarely takes a break, so problems with the unit could develop at any time. Your water heater needs to be kept in excellent condition, so it's important that it's repaired promptly and maintained regularly. When you have any problems with your water heater, our professional plumbers will be able to accurately and quickly diagnose them before providing thorough repairs. We can offer maintenance services to help prevent these problems and keep your water heater working efficiently, and we can provide replacement services if necessary. Your plumbing drains need to be clean, clear, and free-flowing in order for your plumbing system to function properly. Any clogs, obstructions, or build-up in the drains will impair your entire plumbing system, and you'll see problems occurring throughout your home. Our drain cleaning services for Cayce, SC homes and businesses can thoroughly eliminate any kind of blockage in your drains to help ensure that your plumbing system is reliable and efficient. "Efficient, on time & did an excellent job"
"Excellent job & very thorough"
If you are looking for a professional plumber in Cayce, SC then please call 803-799-2222 or complete our online request form.